I'm 30 + A Few Things I've Learned Over the Years! Hitting a milestone birthday today...the BIG 30! A couple of years ago I dreaded this birthday, but I can honestly say that I'm perfectly fine with leaving my 20's. I've learned so much about myself over the years, and I'm excited for what's in store for my 30's! In a decade I've studied abroad, graduated with my BBA and MBA, created life long friendships, married, started a blog, moved to Austin, was diagnosed with vaginismus, found a career, bought a house, had THREE children and many things in between. Yep, just like that a decade has gone by. I thought I would share a few things I've learned about life and myself. - Family is everything. When I was young I dreamed of living abroad or being a big wig marketing exec in NYC, but after studying abroad I learned real quick how much I missed my family. I missed them so much it hurt, and I never want to be that far away again. So...I will never leave Texas and I hope my extended family never does. Kids, you're going to an in state school...fingers crossed. - Stand up for yourself. This is something I'm still working on, but I learned the hard way what it feels like when you don't stand up for yourself. I was pretty much bullied at my first job in Austin. Every day was hell, and for some reason I let it happen. I let the person ( a woman) walk all over me. I may be outgoing and LOVE to talk, but I hate confrontation. I've learned that confrontation is going to happen, and you need to be brave and stand up for yourself even when everything inside of you tells you to back down and hide in a corner. - Jesus has never left me. Over the years I've been very close with the Lord and very distant. He is a constant in my life, and I pray that in my 30's I could draw closer. Alex and I have found a church we like, and we hope to put roots down over the next few years. - I'm a writer. When I first started blogging and for many years after I never considered myself a good writer. However, over the years I feel like I've been able to tell stories through writing in the same way I would in person. I'm still horrible with grammar, but I enjoy typing out my thoughts and feelings. - I'm an open book. Being honest and vulnerable is the key to connecting with others. I've been asked hundreds of times in job interviews what my greatest qualities are, and many times I respond with my ability to connect with people. 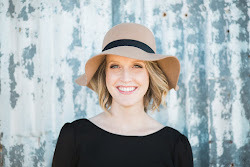 Communicating and relating with others has always been something I've enjoyed, and through my 20's I learned that those are the traits I want to bring to my job, marriage and friendships. You could ask me anything and I would answer it. Money, marriage, faith, motherhood, you name it. If you read this blog, thank you! Thank you for reading my words, and following me along on life's journey. 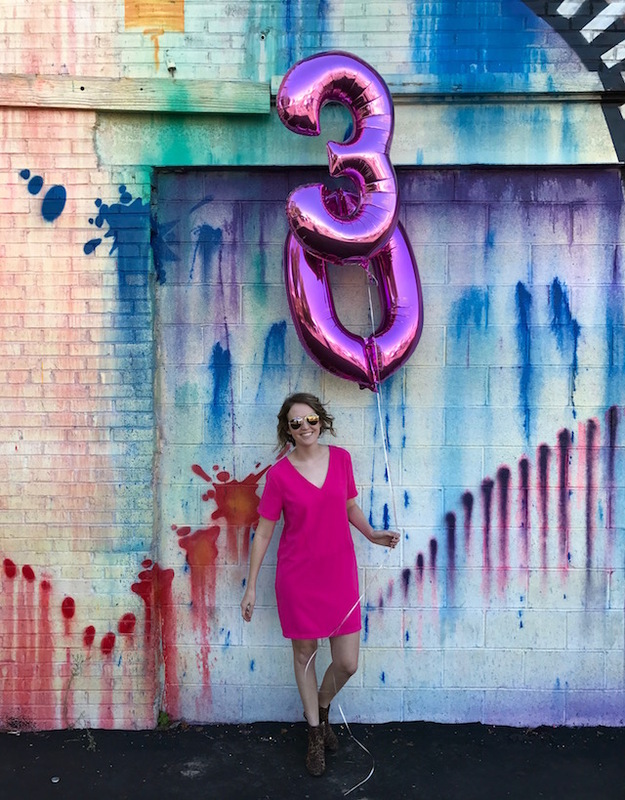 Cheers to 30! Love this post! Such great advice for women with milestones coming up. I have 40 coming up in a few months, so I know these truths. 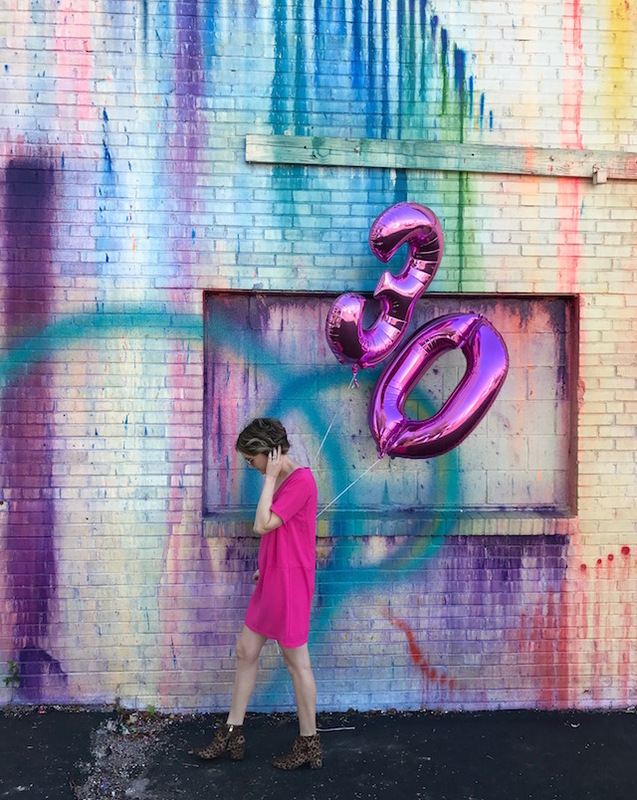 I loved reading this and wish you a happy 30! Happy 30th Birthday! Such great advice from one woman to another. You are definitely relatable, which I what I love so much about you! Have a great day! I love that you are an open book! Me, too! Love these pictures. I miss you!!! 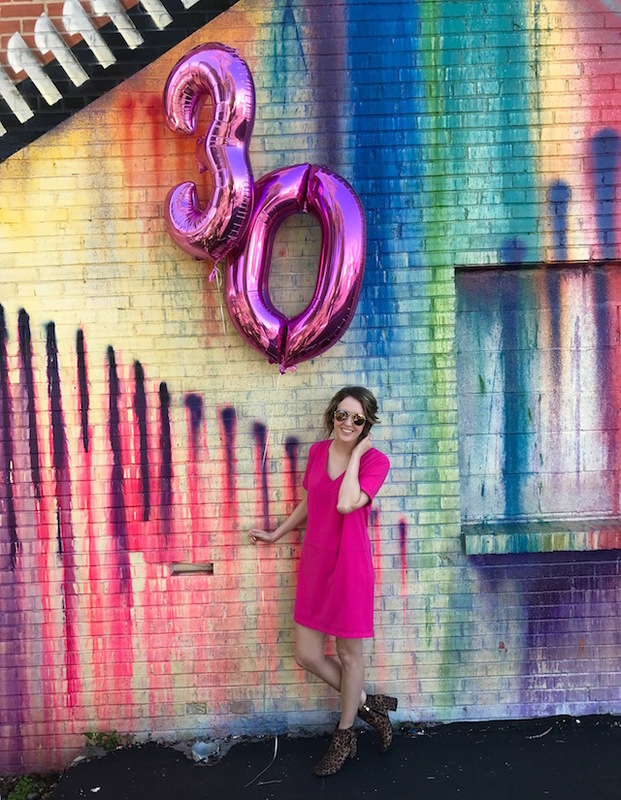 Turning 30 was so scary but I definitely agree with you so much here! Family has become more important to me as I got into my 30s and standing up for myself- still something that is so hard to do especially in work! Great post! Turning 30 was great and turning 40 is even BETTER! The most important lesson is that you should be you! Happy Birthday! Happy Birthday! I love this look with the leopard and pink--so fun! Happy Birthday Love! You are so beautiful! Great lessons! I hate confrontation as well! I just want to make everyone happy, and when things need to be talked about, I get all shaky and such. I love your birthday pics by the way!